For furthering the study of astronomy on an international level, while inspiring everyday citizens to look at the night sky with curiosity. 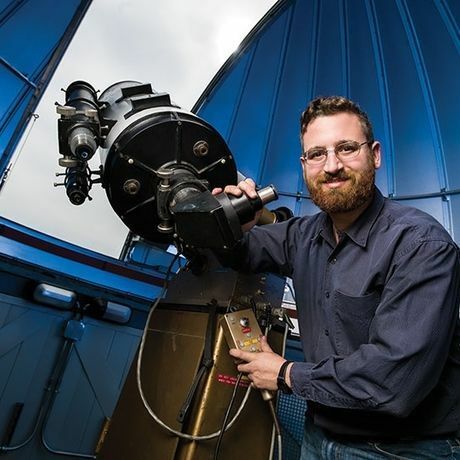 Gregory Sivakoff focuses his research primarily on multi-wavelength observations of white dwarfs, neutron stars, stellar-mass black holes, and super-massive black holes. He was a Top 40 under 40 in 2014, and was known for drawing connections between being a foodie (self proclaimed) and how black holes work. You don’t have to be a science wiz to develop a passion for far reaching concepts. Imagination is at the foundation for so many of the complex principles that govern our world. Creativity lives within the same imaginative universe. Sivakoff believes that mathematics and problem solving are essential skills, regardless of your discipline.